Fishing has been very good. Saturday and Sunday the fish were in specific areas. 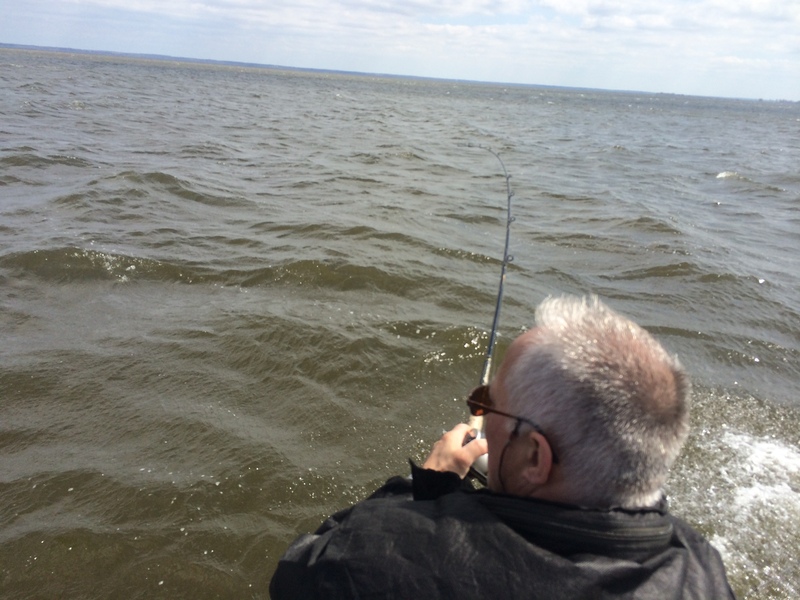 Versus being “everywhere” earlier in the week. 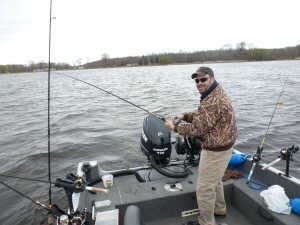 I took a 2nd group of Cabela’s tournament anglers out on Sunday. We trolled flicker shads and casted jigs and casting cranks into the rocks. There are a ton of shiners or similar type minnows in the river now. I saw hundreds in less than a foot of water. 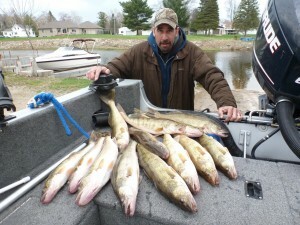 Many, many fish boated the last 2 days and last few weeks. 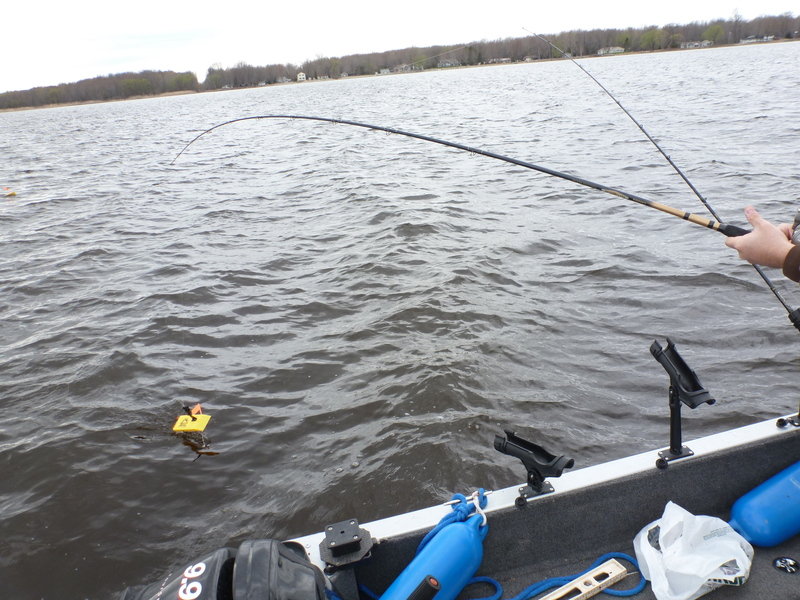 Some minor injuries. Every other day someone gets a hook in the hand even when fish are handed with care and long pliers. 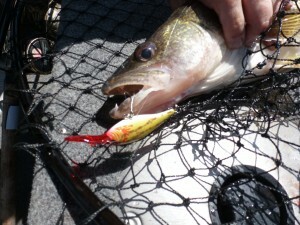 I keep my hooks razor sharp. 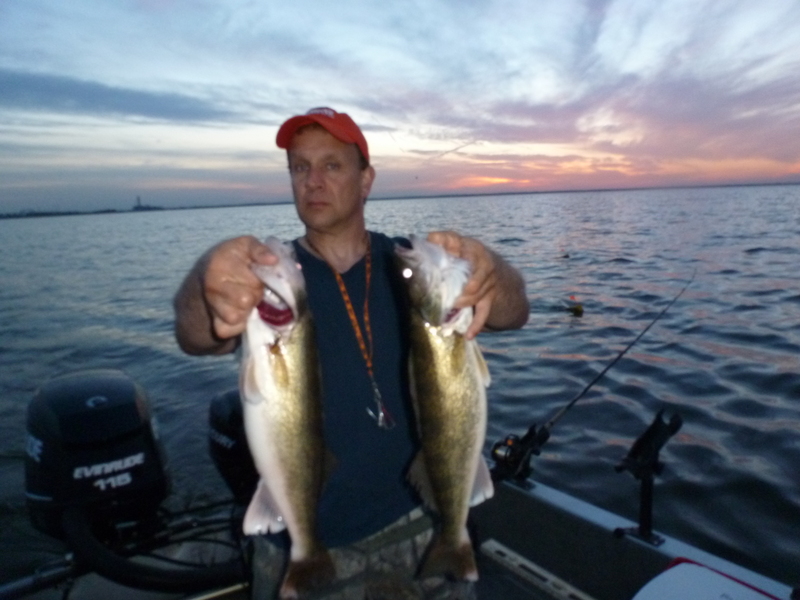 This entry was posted in Uncategorized on May 27, 2014 by Jim Kleist. 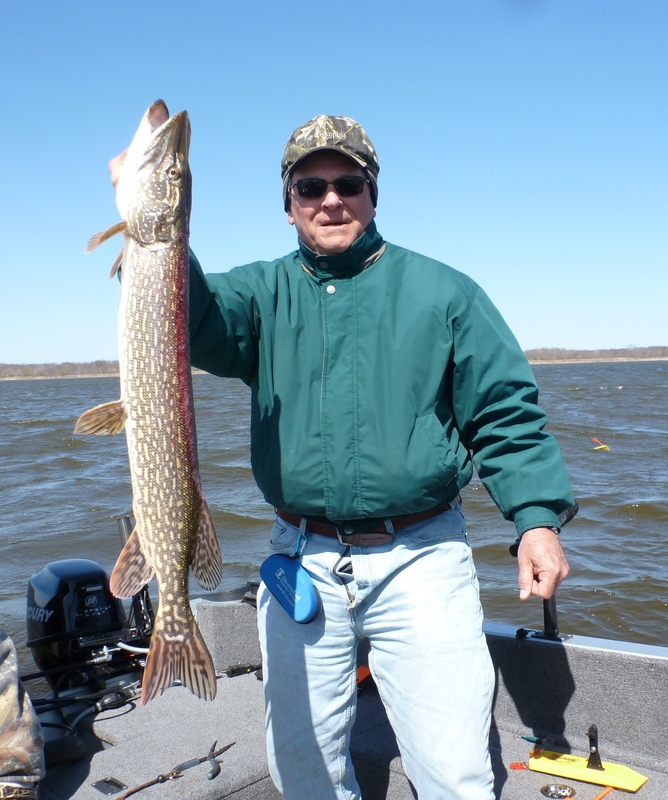 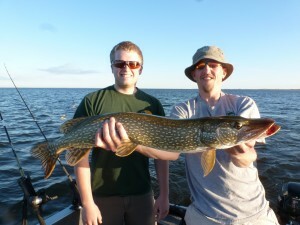 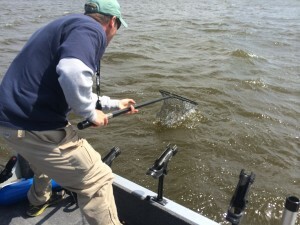 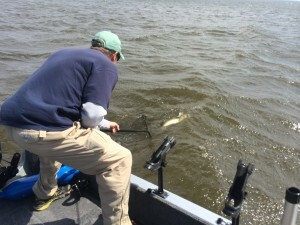 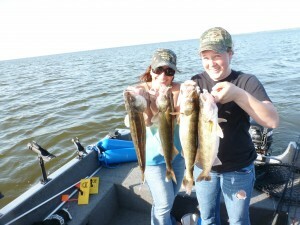 Fishing report for Friday May 23 Memorial day weekend. 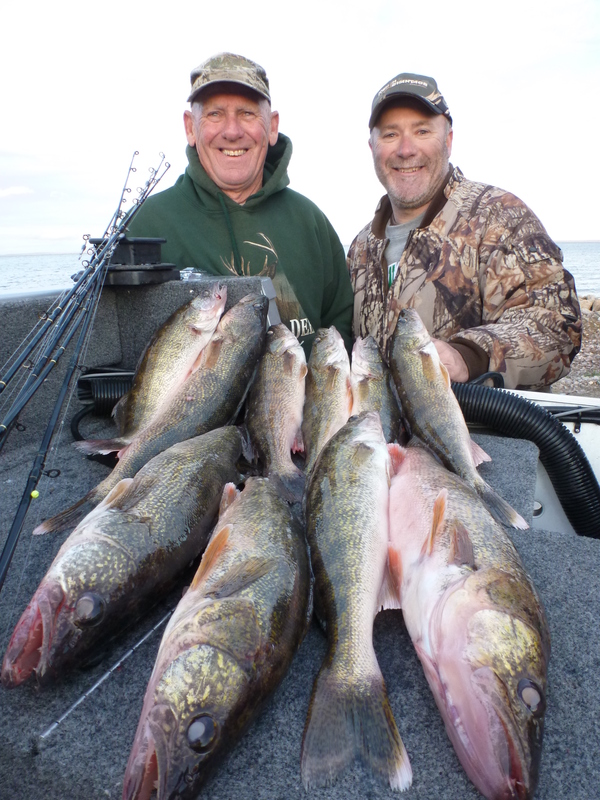 Today I fished over 100 square miles of Green Bay with 2 men that wanted a guide to show them spots and how to target fish. 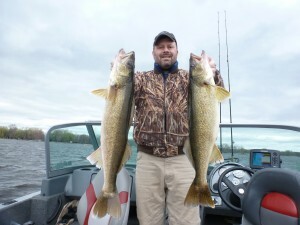 They will be fishing in the Cabela’s tournament next weekend and live 12 hours away. We fished North, South, East, West — caught fish every place. 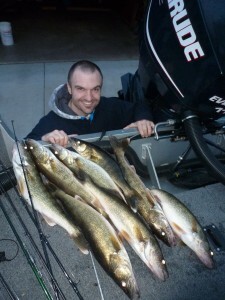 Methods trolling cranks, casting cranks while drifting, casting jigs(Plastics)– while drifting. Trolling out produced the other methods but sometimes there is more than one way to “skin a cat” or in this case “catch fish”. 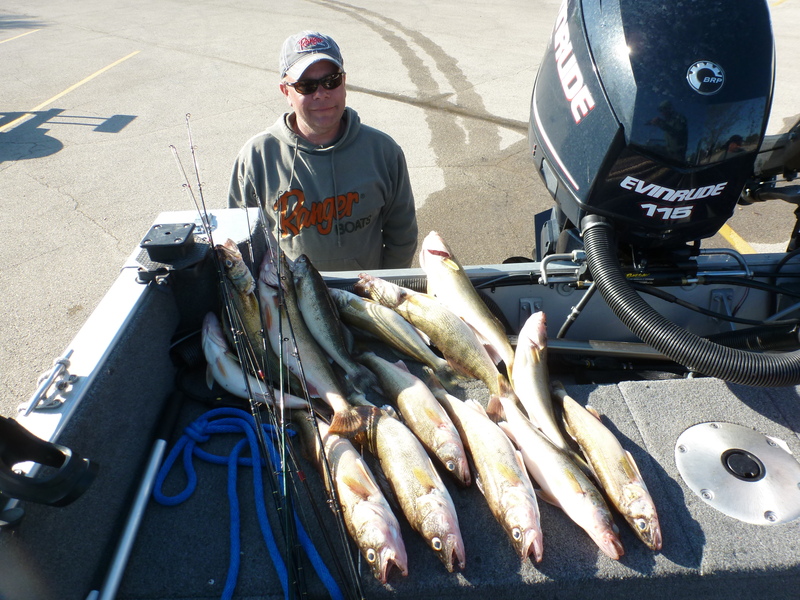 Fished from 15 to 4 fow today. 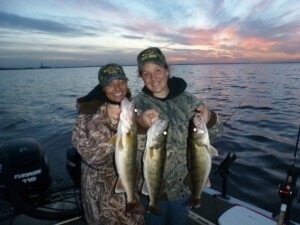 This is prime time for fishing and one of my favorite times to be out on the water. 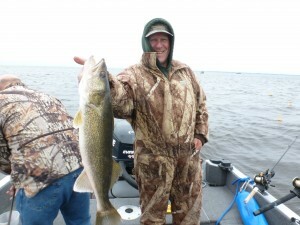 If you want to learn the area and catch fish give me a call and fish with me a local guide from Green Bay. 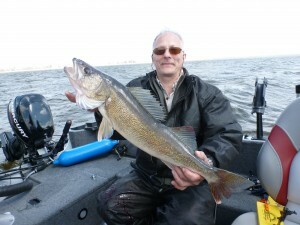 I will also be fishing lake Winnebago quite a bit now as well. This entry was posted in Uncategorized on May 24, 2014 by Jim Kleist. 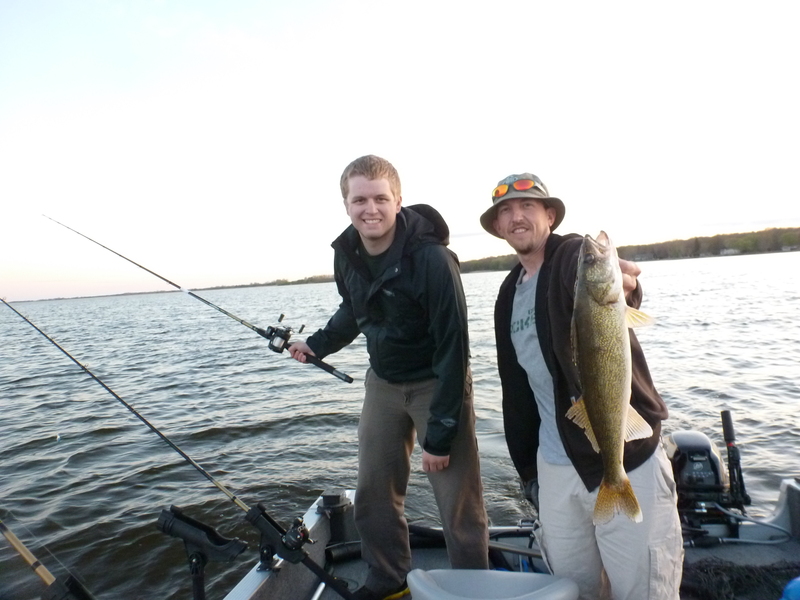 Fishing is very good. 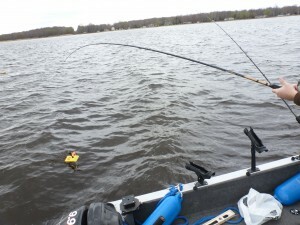 Today with the cold front the fish moved out deeper and the bite shifted too. 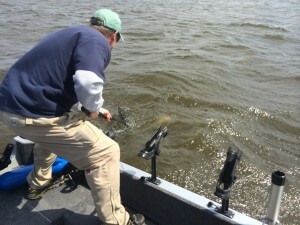 High wind gusts made fishing challenging to stay on the fish. 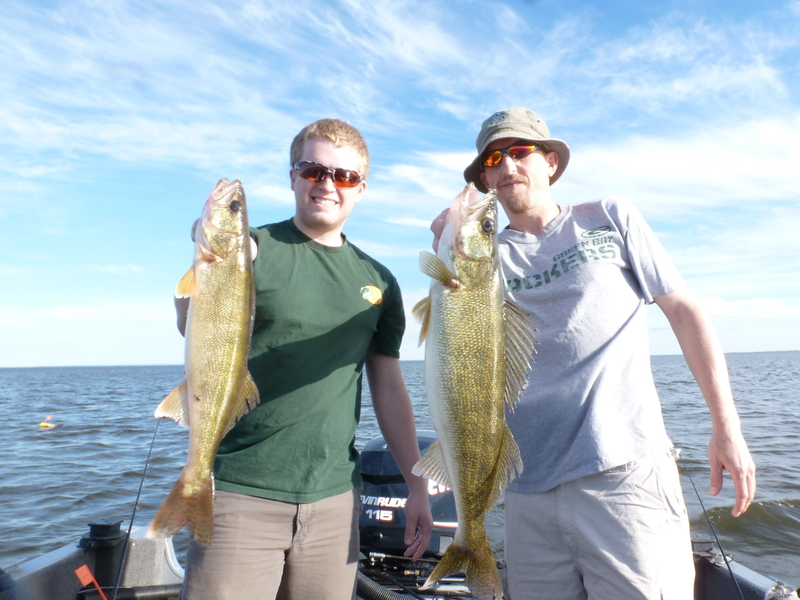 But we did. Harnesses High up. 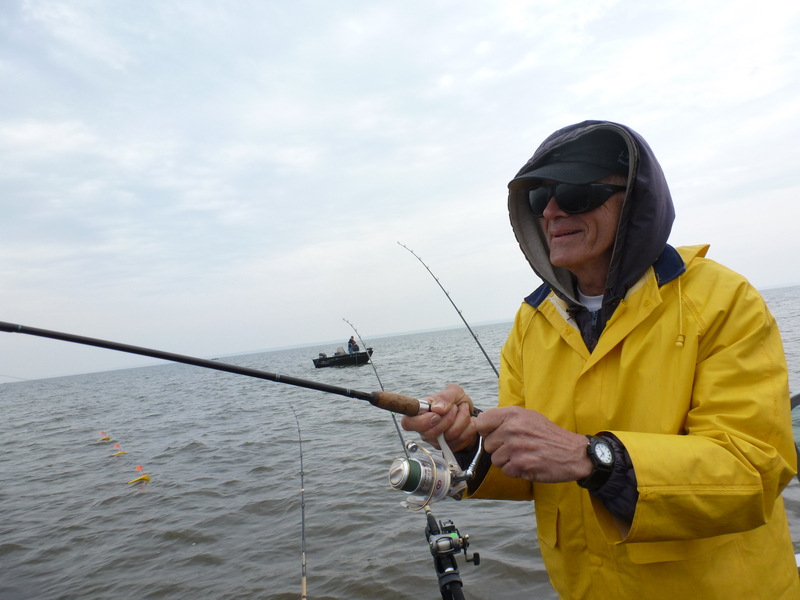 This entry was posted in Uncategorized on May 16, 2014 by Jim Kleist. Best day walleye fishing this spring. 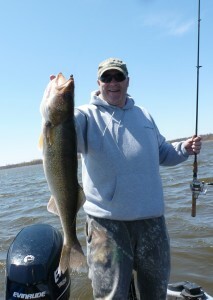 Fish in 3- 4 fow. 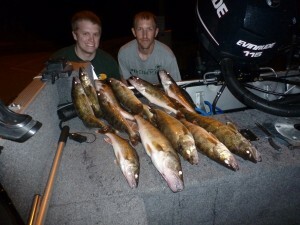 Harnesses. 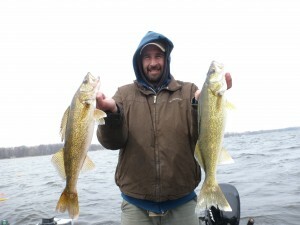 Green and Gold blades. 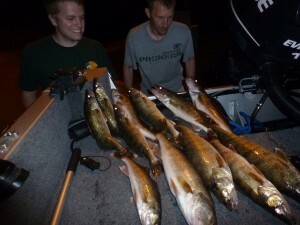 32 fish in 4 hours. 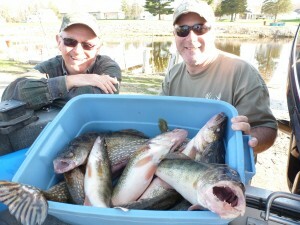 Fished noon til 5 numerous doubles. (This is the truth)– 6 boards. 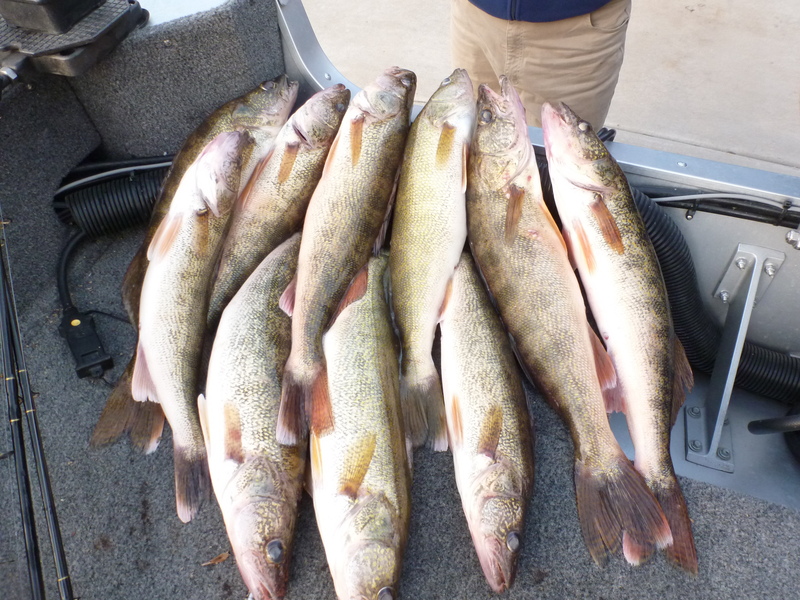 All six fish boated. Swear on a bible. Never happened before, I doubt it will happen again. 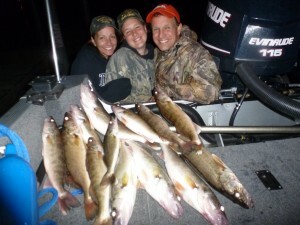 We got very lucky. Fish were stacked and then jigged for them with 1/8 oz Jigs and crawlers and casting flicker shads and jointed shad raps. 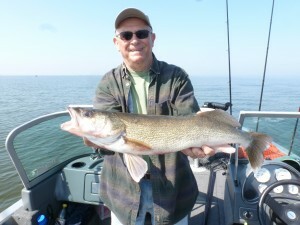 Captain Jim Kleist Green Bay Wi. 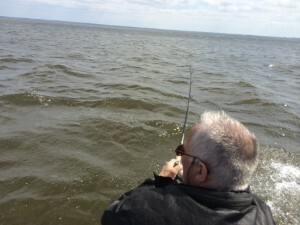 This entry was posted in Uncategorized on May 14, 2014 by Jim Kleist. 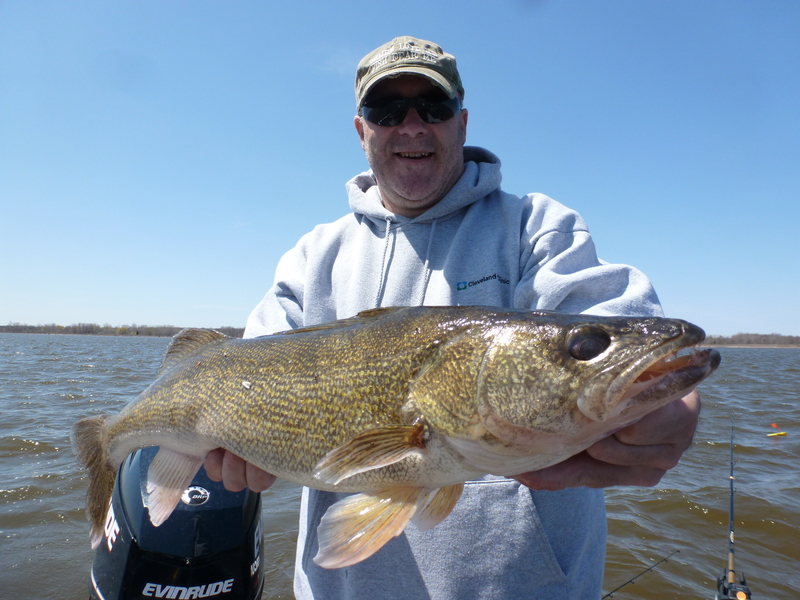 Walleye fishing started slow but didn’t end that way. No wind and higher temperatures really but a damper to the last 3 days of my fishing in the morning. 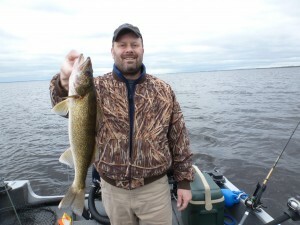 I made a unilateral decision to make a major move for my client and it paid off. I found fish again shallow 5-7 fow. 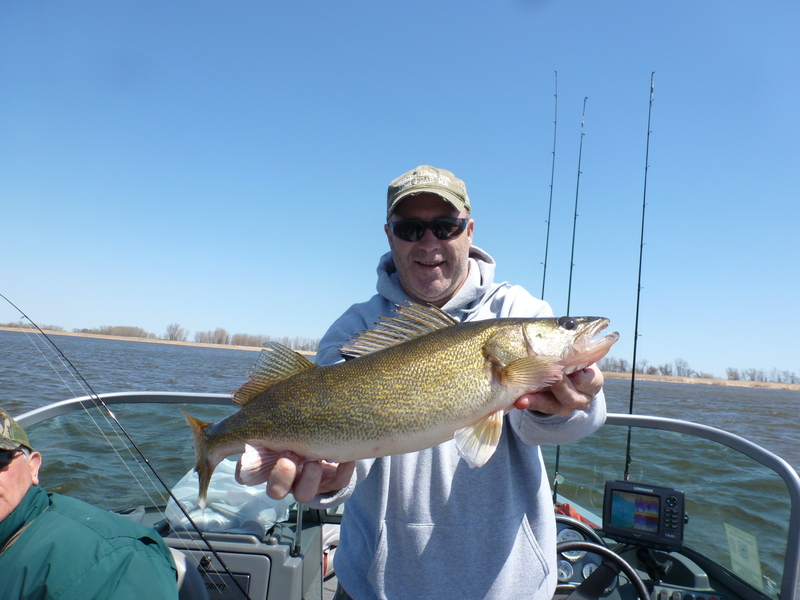 Not sure if it was entirely my move or the wind and moderated chop on the water that improved the Walleye bite?? 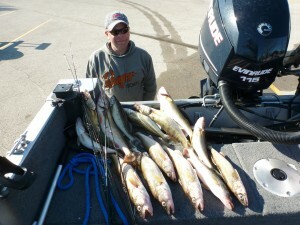 Crawler harnesses with small bladed did make a difference this afternoon we end ended up with 13 nice walleyes!! Pike, perch also made it into the boat that are not pictured here. Great days on the water ahead Give me a call to book a trip with my guide service. 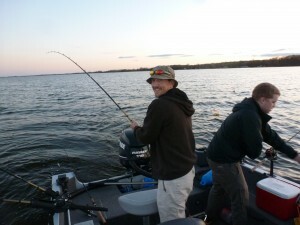 This entry was posted in Uncategorized on May 12, 2014 by Jim Kleist. 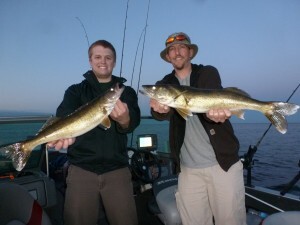 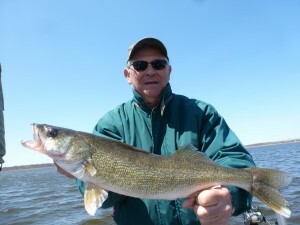 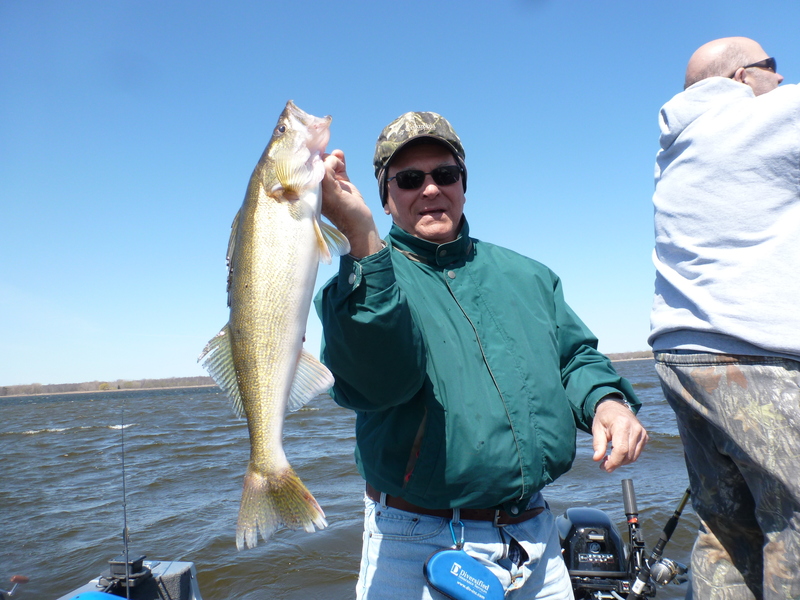 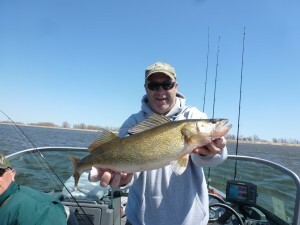 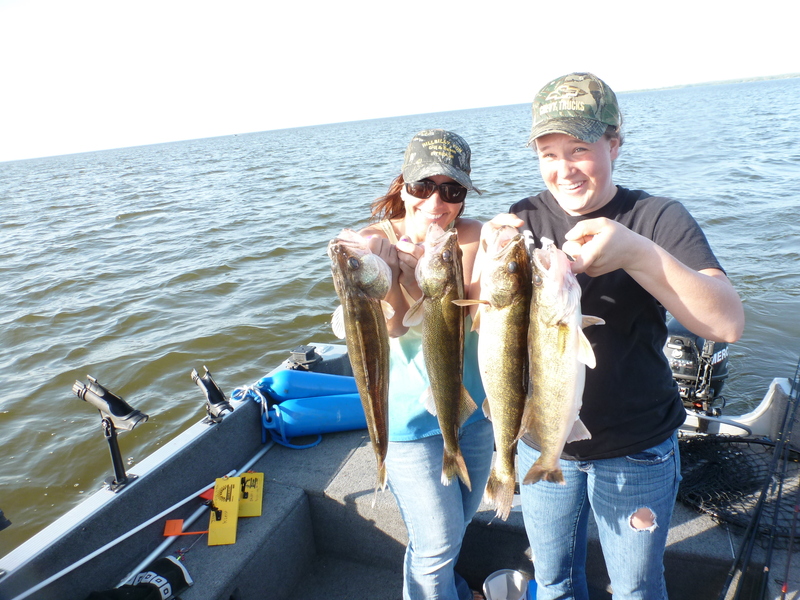 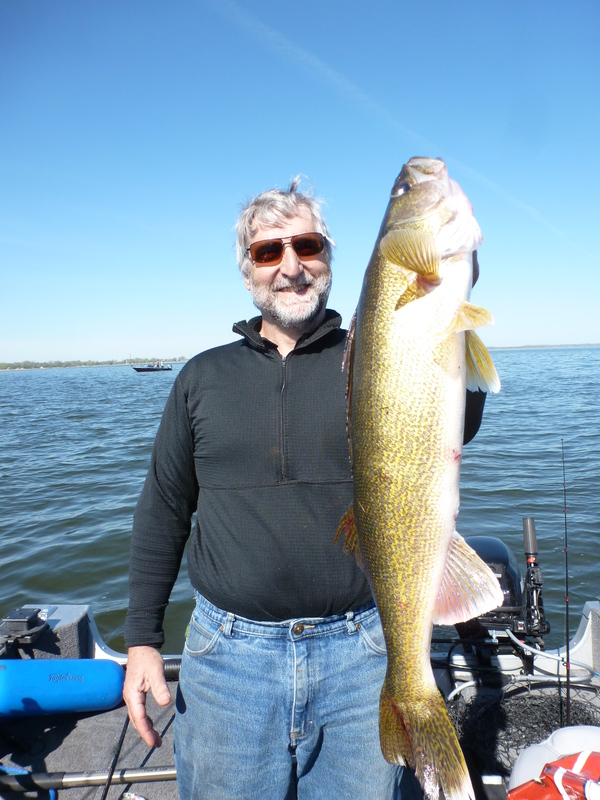 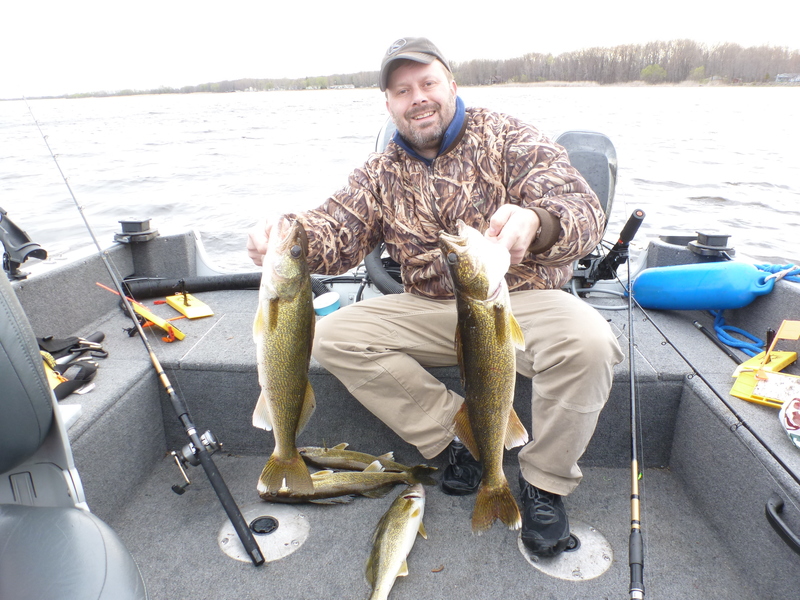 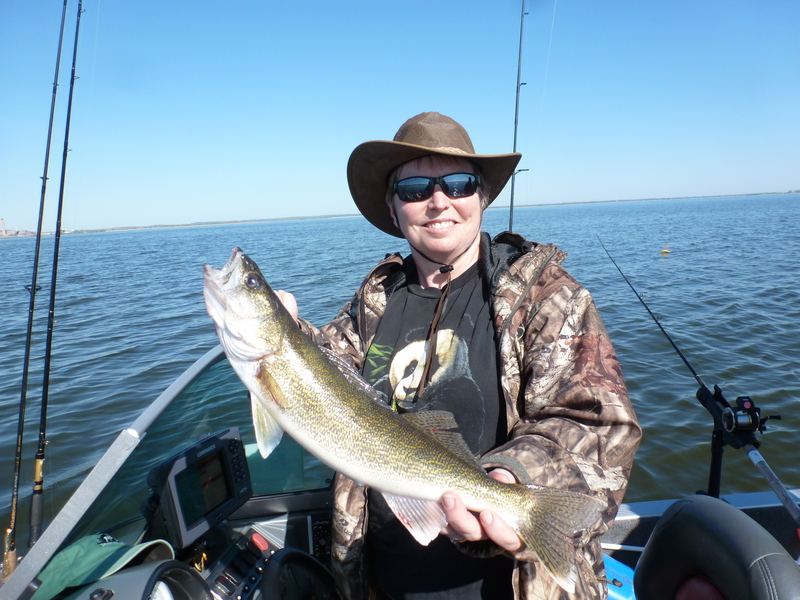 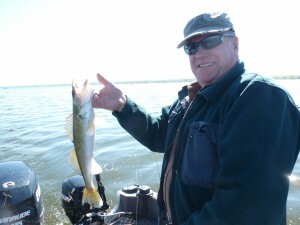 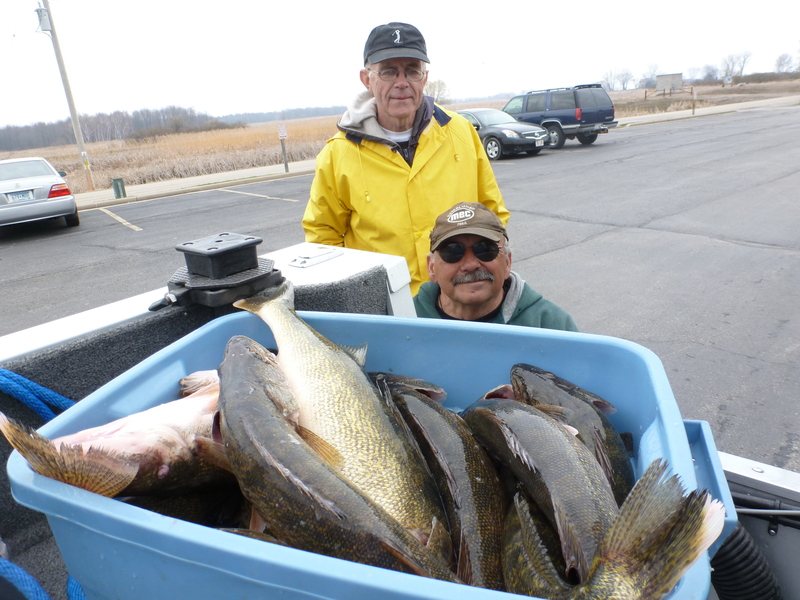 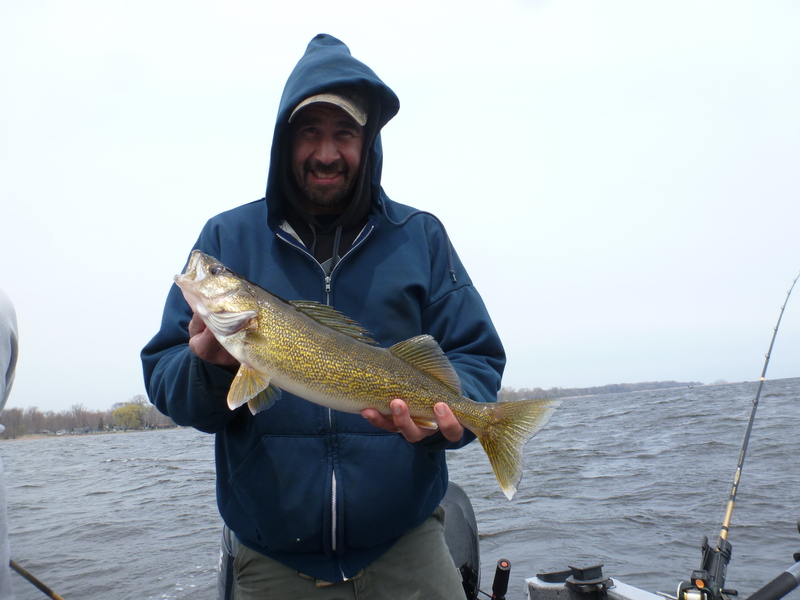 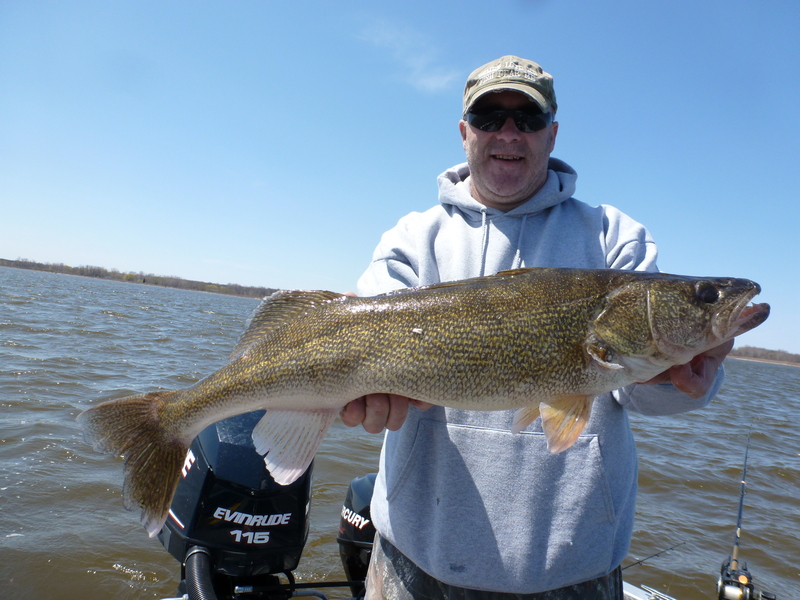 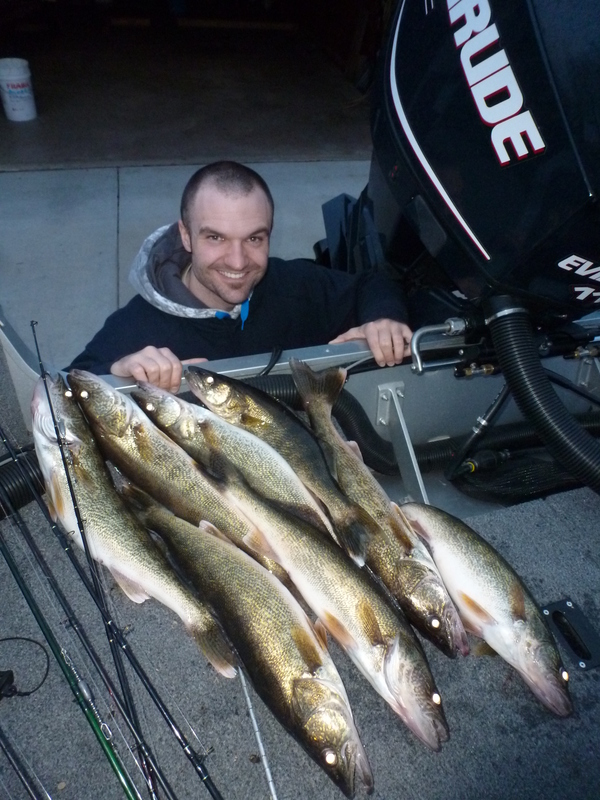 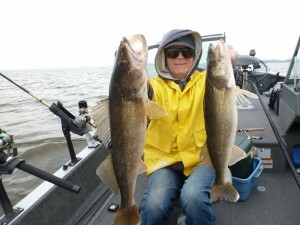 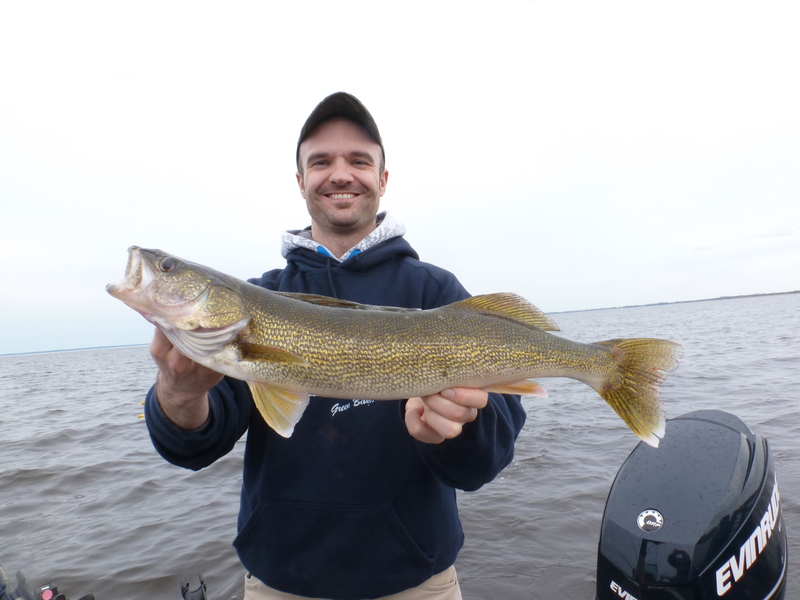 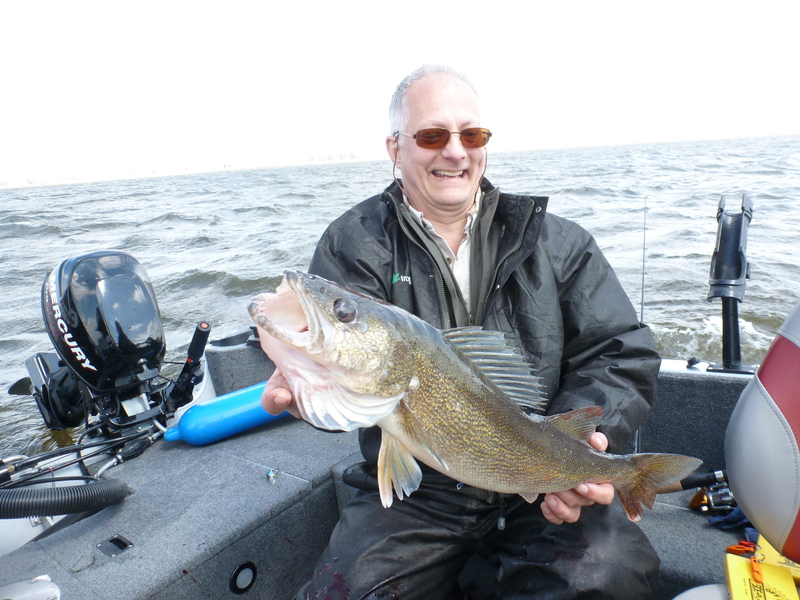 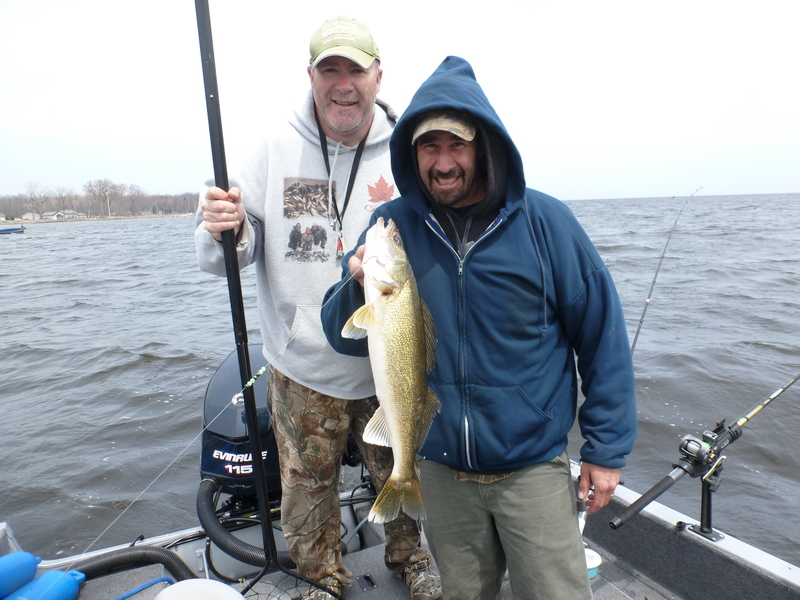 Windy and walleyes great fishing. 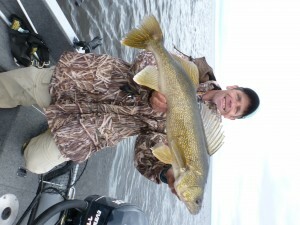 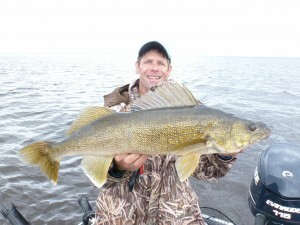 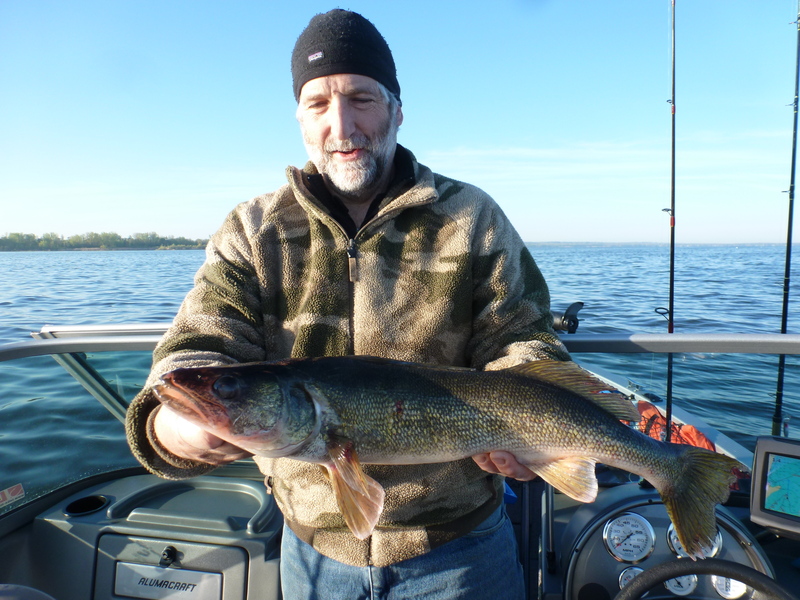 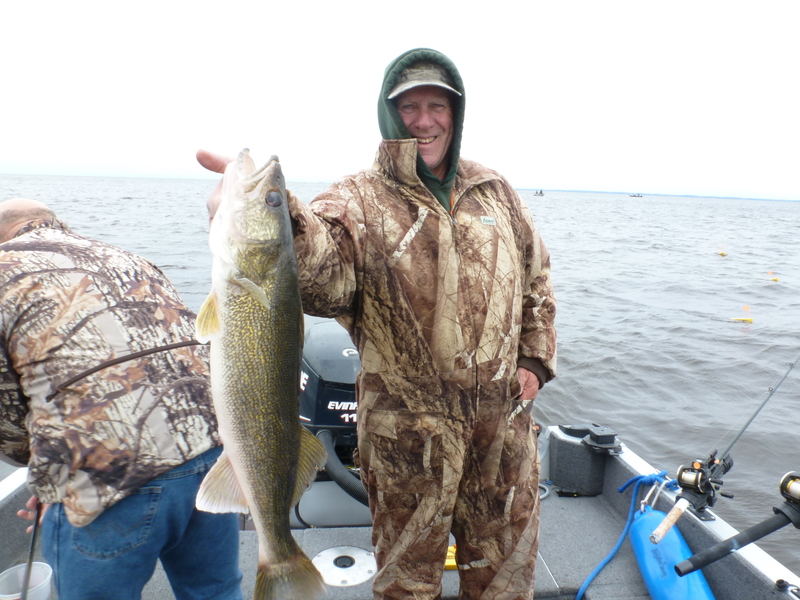 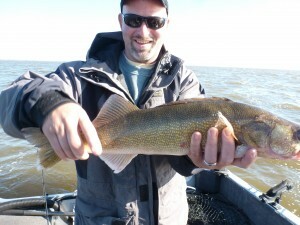 Fished the wind swept shore which today finging walleyes in 3 – 4 fow in 2- 3 waves breaking on shoals. 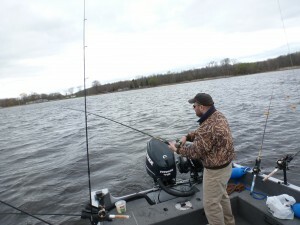 I had to use my 115 hrs power motor to keep us on fish and not come aground. 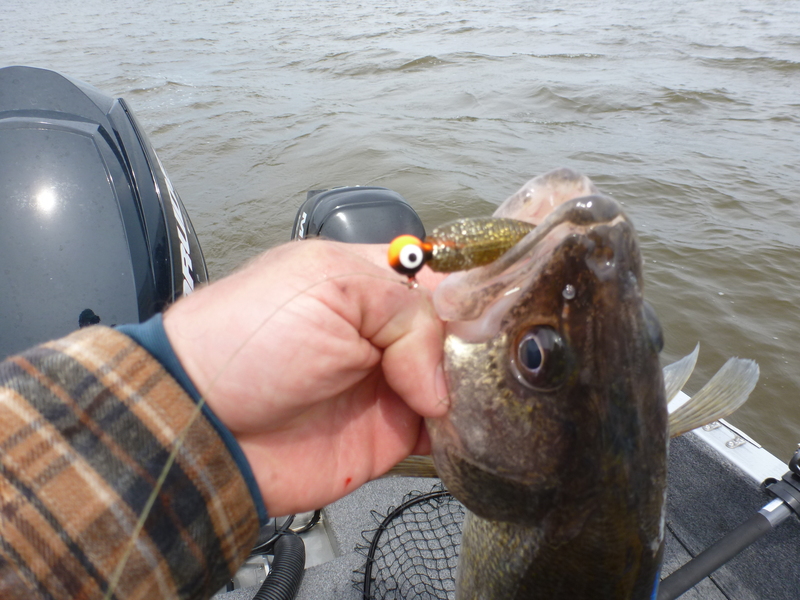 Tactics– casting cranks baits #7 # 5 jointed Parrot Rapala Shad raps and my favorite Black shad – Flicker shads. always produce they are the grey natural. we used St Croix 7 foot medium actions with Nano fill 10# We landed 10 fish and lost several nice fish. 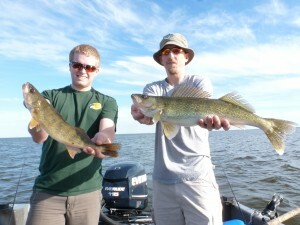 18 to 26 1/2 inches. Great fishing continues on this fabulous fishery ! ! 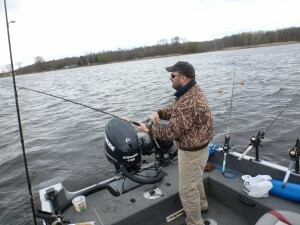 This entry was posted in Uncategorized on May 11, 2014 by Jim Kleist. 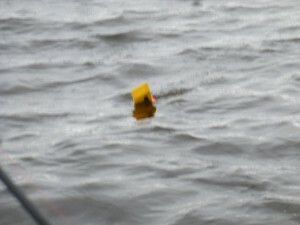 Fished today on the Wind swept shore using crawler harnesses and jigs with plastic. Half of the 16 fish landed today, 8 were on the jig combos. 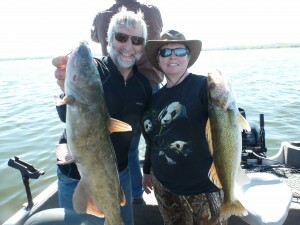 Rigs were the “Green & Gold Harnesses” with 1/4 oz inline sinkers. 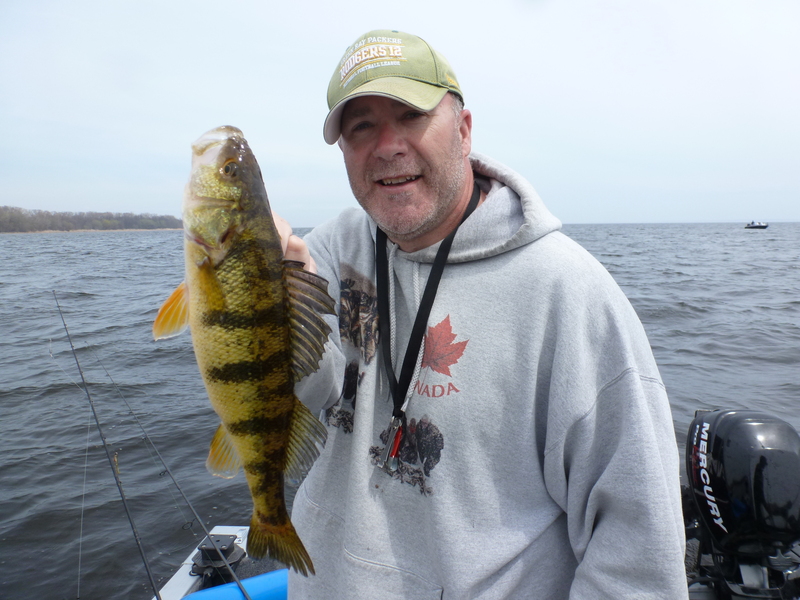 Jigs– Orange with dark plastics 4 inch tails. No live bait on the jigs. Very fun bite today! 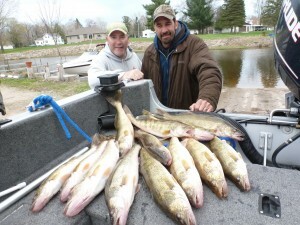 Fish were from 15 inches to 26 inches. Check out my website under the “reports” tab I update weekly! 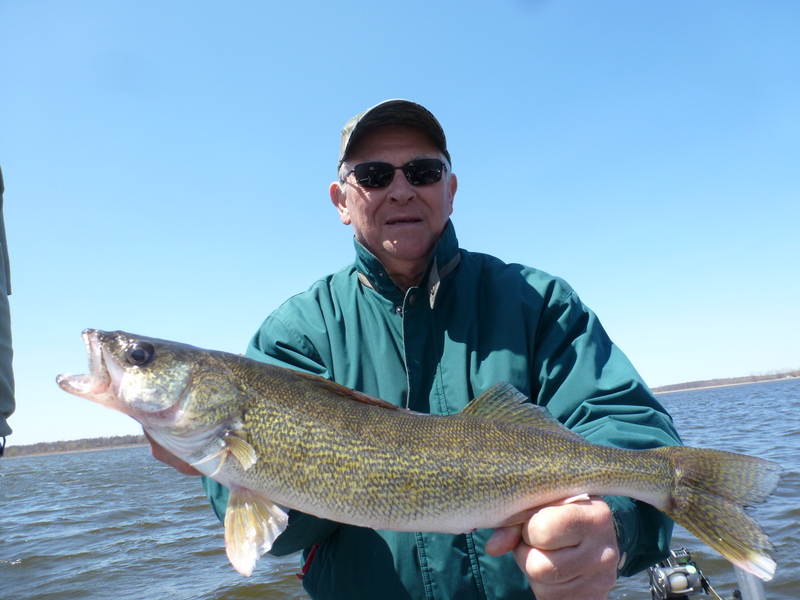 This entry was posted in Uncategorized on May 8, 2014 by Jim Kleist.